Philip Blackburn is a UK electro-acoustic musician now living in Minnesota. 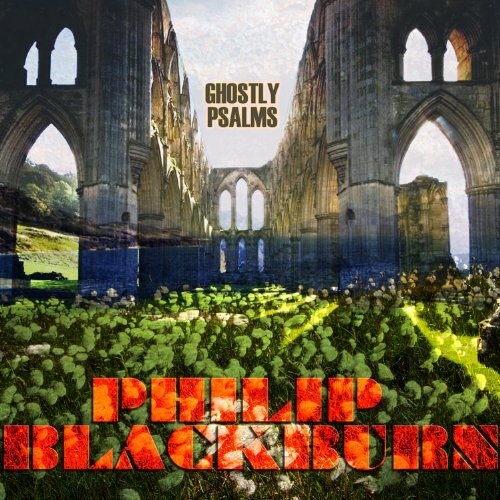 Ghostly Psalms is a collection of three soundscapes that vary so much it is difficult to accurately describe the listening experience in just a few words. The opening piece, "Duluth Harbor Serenade," is an industrial soundscape recorded live on Labor Day 2011 incorporating bridge alarms, bells, chimes, car horns, fog horns, sirens, church bells, and a flash mob of local performers parading with trombones, horns, etc. that provide structure to an otherwise abstract piece, as well as imparting an Urban Sax ambiance. The second composition is the massive title track consisting of 9 movements, clocking in at 51 minutes. This is a live performance for large chorus, organ, and unusual instruments including drones from Ellen Fullman's long string instrument. "Ghostly Psalms": transports you through different dream states and maintains your interest throughout the numerous changes in instrumentation, vocals, etc. Its subliminal and cosmic quality is very relaxing. The final piece is the five minute "Gospel Jihad," an a cappella duet for two rival choirs singing deconstructed hymns. Even though Ghostly Psalms is avant-garde experimental music, it is extremely approachable, not academic. Its calm and soothing effects make the disc an enjoyable listening experience. There are also YouTube videos of "Duluth Harbor Serenade" that has garnered some positive response, and "Gospel Jihad" that has received some quite negative reactions because of its non-musicality and political message.